As the Maserati GranTurismo coupe and roadster are about to take their final bows, we ought to take a few moments to remember their immediate predecessors, the Coupe and Spyder, aka the 4200 GT. The Spyder actually debuted first, at the 2001 Frankfurt Auto Show followed by the Coupe’s debut a few months later at Detroit. 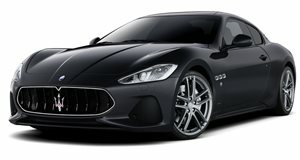 They were both a big deal, especially in the US because the pair represented Maserati’s return to the North American market following an 11-year absence. Designed by Giorgetto Giugiaro of ItalDesign, the Maseratis were powered by a naturally aspirated 4.2-liter V8 with 385 hp and 332 lb-ft of torque. This engine should sound very familiar to any Ferrari fan. Why? Because it’s part of the same engine family jointly developed by Ferrari and Maserati. Conveniently enough, it’s often referred to as the Ferrari-Maserati engine. Built by Ferrari, other recipients of this engine or one of its variants include the GranTurismo, previous-gen Quattroporte, and Ferraris like the F430, California, and 458. 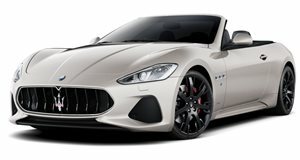 The Maserati Coupe and Spyder came with a six-speed manual transmission while the GT version offered a six-speed Cambiocorsa, aka an F1-derived electrohydraulic manual. And it’s a Maserati GT Coupe that we happened upon for sale on Craigslist. This 2002 model looks to be in nearly flawless condition with only 53,000 miles on its clock. We’re unable to notice any significant damage to the exterior metal or paint. The interior also appears to be in great condition. The leather shows no signs of cracks and appears as supple as ever. But perhaps the best part is the asking price, listed at just $16,500. That means you’d be getting a naturally aspirated Ferrari V8 at a fraction of the price. The Maserati coupe in question does, however, have the F1 gearbox, which is in our view its sole drawback. But still, where else can one get an Italian-built exotic with this much output and seating for four at this price point? Yes, it has seating for up to four adults, unlike its Ferrari cousins. As you can see those rear seats are not exactly the definition of spacious, but clearly they’re more accommodating than what’s offered in, say, a Porsche 911. By the time Maserati GT production came to an end in 2007, a total of 13,423 units were built, a pretty solid figure considering both variants are quite niche. There was also a racing version, the Trofeo, which debuted in 2003, and a few special editions of the road going car appeared throughout its lifetime. Considering its price tag and pedigree, it’s really hard to go wrong on this one.